A tumble. All it takes is a second – but that moment can alter the course of a senior’s life. In fact, according to the National Council on Aging, someone’s parent or grandparent enters the emergency room every 11 seconds for a fall-related injury. The older people in our lives are our family’s celebrities. Whether they’re active or bedridden, their life experiences and wisdom make them seem invincible. Yet an everyday injury from an accidental fall could result in unintentional death for the aging superheroes we hold so dear. The CDC estimates nearly 60 deaths per 100,000 senior citizens aged 65 and over result from an unexpected fall. Even real-life celebrities aren’t safe, despite their expert medical teams and round-the-clock care. In 2016, musical legend Leonard Cohen passed away in the middle of the night from a fatal injury caused by a slip and fall. While these accidents don’t always result in death, they do have a tremendous impact on one’s health and finances. 17 million fall-related incidents result in a disability that negatively impacts the older person’s remaining years, notes the World Health Organization (WHO). Unexpected medical bills directly (immediate, post-injury treatment) and indirectly (disability and/or end-of-life care) related to a fall can cause financial ruin for seniors or their families. By 2020, the collective cost for injuries related to seniors, aged 65 and over, who fall could total $67.7 billion annually. In this guide, we’ll cover everything from why seniors fall and how to prevent injuries to identifying the need for care as well as financial and legal considerations for fall-related injuries. Note: For the purpose of this guide, we’ll focus on people aged 65 and older; however, it’s important to remember that certain medical conditions could increase fall threats earlier on. Family members and caregivers should discuss the following potential insecurities with their loved one regardless of age. Good health goes a long way in fall prevention. Medical science has increased our life expectancies, but it hasn’t cured the afflictions of old age. Age-related diseases can and do create physical instability. The first step in fall prevention is identifying health-related risks. There are a number of factors related to fall risks, and they may vary based on the individual. The following assessment should not replace the advice of a medical professional. Rather, consider it a checklist that you and your loved one can review with a qualified doctor. Why are older people at greater risk for falls? Chronic Health Issues – Every disease should be considered for unforeseen fall risks, even if the risk isn’t readily apparent. Some age-related diseases include osteoporosis, osteoarthritis, hypertension, and even cancer. It’s important to monitor any illness closely to understand how it impacts stability. For instance, a person with diabetes may develop foot problems such as sores or nerve damage, which could lead to unexpected pain or loss of feeling. This could change the experience of walking almost overnight; a person may attempt movement in their usual way but may become unstable when they suddenly experience pain. General Effects of Aging – With time, our bodies age. Everyday tasks become more difficult due to loss of muscle tone, coordination, and flexibility. Aging can even affect one’s center of gravity. As with chronic health issues, the nuances of physical age should be observed early and often by a medical professional. Vision or Hearing Loss – Our senses are vital to our navigation of the world around us. Whether your loved one has lived with vision or hearing loss their whole life or they’ve recently developed the impairment due to disease or aging, you should monitor these conditions closely as they increase the risk of falling. According to one study by the journal Age and Aging, three-fourths of those with hearing aids were more vulnerable to falling compared with those who needed no aid. Memory Loss – It’s easy to simplify fall risk in populations with memory loss. Many might assume it’s related to misunderstanding one’s surroundings. But diseases of the brain – specifically dementia – come with other, lesser-known fall-related risk factors. According to one study, scientists assessed balance, gait, and even vision in patients with dementia. Dementia affected these features and increased the likelihood of a fall in this population compared with those who didn’t have the disease. Medications – Drug-related dizziness and loss of vision are two major side effects that could impact stability. But the risks don’t end there. It’s important to consider fall risks linked to situational medication issues. For example, onset side effects are generally more intense compared with chronic or ongoing side effects. Nausea that could impose a hurried trip to the bathroom. Incorrect dosages can also raise the risk of falling. Help your loved one develop a system that works for them, such as a pill box that allows monthly planning for administration – especially one that also breaks dosing down by the time of day. Be careful about drug interactions. You might believe your loved one’s doctor has explained all possible interactions during their visit, but the list of interactions across medications (“polypharmacy”) is exhaustive and some are not well-known. Older patients are especially at risk to multi-drug interactions. Read the drug instructions and consult with your pharmacist. Additional Health-Related Risk Factors – Some health risks may be invisible or undiscovered. Knee or hip replacements could change a senior’s gait as well as their ability to complete everyday tasks. It’s important to closely monitor any aging person after a surgical procedure. Further, small hairline fractures that develop based on a previous fall injury and go untreated could result in acute pain that suddenly gets worse. This is the perfect storm for another, more serious fall. The CDC notes that a senior is twice as likely to fall again if they’ve already fallen. Staying active goes a long way in fall prevention. So too does rest and relaxation. While certain activities may be beneficial, others could adversely impact an older person and increase their fall risks. It’s the way of the modern world: We live longer, but we’re also farther away from our family. Trends in family life vary across the U.S., but as AARP reports, for some seniors, the nearest family member might be more than five hours away. This stat doesn’t account for the complexities of family dynamics. Is the relative even a traditional caregiver, such as a child, or is it a brother or sister who is also aging and in no position to help when needed? We love our elders, but it’s impossible to be in two places at once. 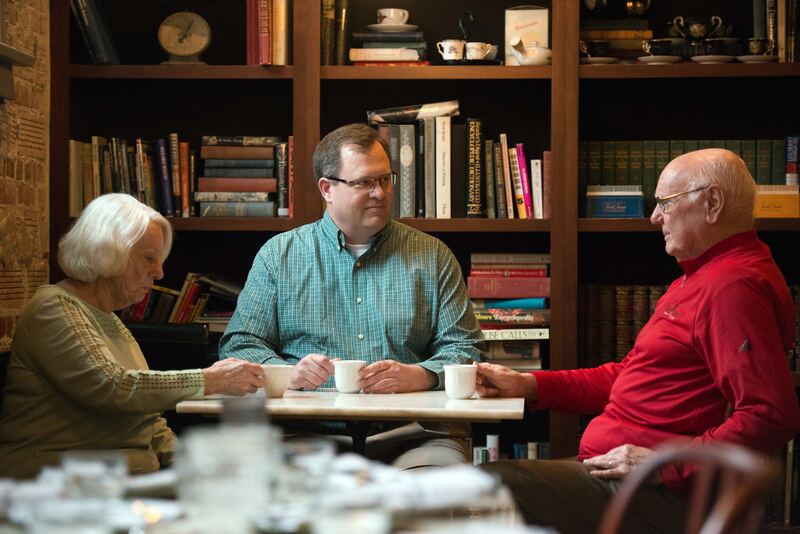 For many, it’s a struggle to divide time between work and children let alone an aging parent. It is possible for some seniors to live alone safely. However, it’s important to note that those aged 85 and older are at a higher risk for falling without the ability to return upright or “lying on the floor for a long time after falling,” The Chicago Tribune reports. Regardless of the individual circumstances – whether we’re near or far, we visit often or just enough – safeguarding our aging family members via tools that protect them from a fall or support them in the event of a fall is key. Many supportive devices are covered by Medicare or other insurance. Here is a list of safety equipment plus information about how seniors can obtain them. Before installing a device or choosing a service, talk to your loved one about how it could impact their privacy, daily routine, or overall lifestyle. Discuss the pros and cons of each item based on the individual’s needs. Ask your doctor about mobility equipment – Canes, walkers, wheelchairs, and scooters can prevent falls if used exactly as prescribed and only when medically necessary. Prematurely relying on a mobility device can impact your loved one’s ability to independently complete daily tasks by reducing their strength and balance. Discuss it with your doctor, and be sure it is fitted properly. Invest in balance and support devices – There are many over-the-counter items that support general stability and can help seniors get up in the event of a fall. They include toilet safety frames, bath seats, grab bars, bed rails, and body support pillows. Buy supportive clothing – As people age, their bodies change and so do their clothing needs. Some seniors might not like the idea of orthopedic shoes or compression socks, but these are increasingly available in styles to suit different tastes. Ill-fitting or loose garments can trigger falls. Supporting clothing options include orthopedic and rubber-soled footwear, no-tie shoelaces, suspenders, and pants, dresses, or skirts with elasticized waistbands and easy fasteners. Note: When considering traditional medical alert devices, keep in mind that most come with annual fees and specific contract terms. Every device is different – where one emergency alert may go directly to you, the caregiver, another may go to a call center. Nontraditional alert systems, such as a biofeedback watch, may require some additional adjustments and regular updates to ensure the notifications work as intended. Certain equipment may require a prescription from a doctor, especially if you want insurance coverage. Consider choosing a vendor that will handle the Medicare process on your behalf, as this can relieve some of the stress associated with billing and payment. All insurance providers are different; however, there are some common features shared by each company or service. In addition to the information below, speak to your insurance provider directly before purchasing any medical equipment. Under some circumstances, including the specific device and your insurance plan, you may need to rent instead of buy the device to obtain coverage. Eligible medical equipment must be considered DME or durable medical equipment per your insurance plan. Medicare should allow for at least some coverage of most equipment under this definition. To obtain DME coverage for an item, you’ll still need to ensure your doctor and equipment supplier are Medicare participants. A copayment may be assessed as well. In some cases, you will not retain ownership of the equipment unless you’ve made about one year of copayments toward the device. Coverage will vary by the insurance carrier and even plan, but generally, equipment must be DME to qualify for coverage. You’ll typically need a prescription from a medical professional. You’ll most likely need to shop with an in-network vendor to obtain coverage for a device. Most plans require copayments or payments, even if the device is covered. You may not fully own the equipment despite making any number of copayments. The provider may reserve the right to recover the equipment if your coverage ends, as is the case with this Cigna plan. DME via the Department of Veteran Affairs Civilian Health and Medical Program is subject to the similar qualifying factors as those above. The plan features similar guidelines for and restrictions to coverage of DME. Doctor recommendation is needed. CHAMPVA does not explicitly define ownership of a device, so it’s important to speak with a representative if you think your loved one may change insurance plans before making 13 months of copayments on the equipment. “Medical necessity” is an important term when it comes to getting durable medical equipment through a health plan. A physician’s prescription is a key factor for determining what is medically necessary for a patient; however, the definition of medical necessity as it relates to coverage varies slightly based on your insurance provider, plan, and the type of equipment. A prescription for a device does not equal coverage. Allow rentals or require rentals for specific types of devices, such as oxygen machines. Retain ownership of a device once coverage is terminated. Require a durable device, with a lifespan of three or more years. Include variable replacement options based on whether the device is rented or owned by the patient as well as the number of copayments made on the device; some programs allow like-for-like replacements if the device is lost or broken. Cover only basic equipment and not the bells-and-whistles model. Therapeutic recovery devices, such as hot tubs, aren’t usually covered. Additionally, wheelchairs and scooters are typically only covered after a patient has met the criteria for immobility. While it’s important to shop around for competitive pricing, the limitations of coverage are such that you must choose a provider within the provider’s network. Some insurance companies do offer pricing calculators, which allow you to determine the general cost of coverage before you shop. Medicare has a unique condition called “competitive bidding,” which means you may only purchase from specific contractors if you live in a particular region. If your device isn’t covered by insurance or is too expensive even with coverage, you might be eligible for third-party financial assistance. Fall prevention and personal security start in the home. It’s the one environment that we have some control over. 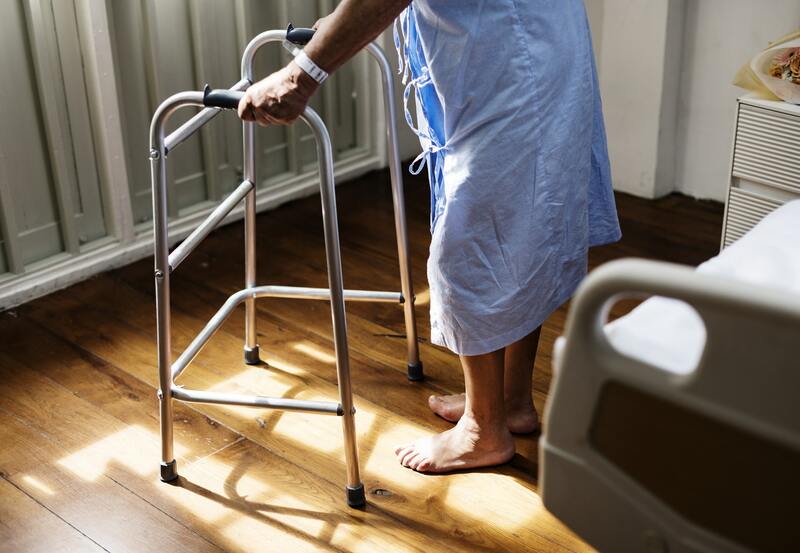 Just one non-fatal fall can lead to a greater need for dependence in an aging adult – which might mean a senior has to leave his or her home altogether. According to the National Safety Council, falls typically happen in our most familiar place: Home. In fact, the bathroom is the highest-risk area for seniors. Creating a safe environment is the best way to prevent seniors from falling, which enables them to stay in their homes unassisted for longer. Look for state-based programs, like this one in Maryland. Explore VA housing grants for eligible seniors. Consider tax deductions for home improvement costs. Find senior discounts at stores or from contractors; check a store’s policies in advance – some businesses offer special “senior days” with additional discounts. The Americans With Disabilities Act (ADA) offers many housing protections for seniors who qualify as disabled. For instance, it is unlawful for an agency to discriminate against a homeowner who wishes to obtain a permit for a disability-related modification. It’s also unlawful for a realtor or agent of the state to prevent or discourage someone from buying a home or land based on their disability. Fair Housing Act (FHA) Accessibility Guidelines are also in place that require newly built homes to be accessible for people with disabilities. This matters if you are working with a contractor to build a new home for your loved one. You have the legal right to reasonable accessibility accommodations. The FHA provides that landlords must modify or allow modifications of a rental home when it is directly related to the specific needs of a person who is disabled. While these modifications are not intended to prevent falls, they may indirectly and positively impact a person’s stability – especially when they provide easy access to everyday items. Talk to your loved one’s landlord before making any modifications, even if you believe your loved one is entitled to them by law. In situations where the landlord fails to comply, avoid confrontations that could put your loved one in a vulnerable position or cause undue stress. If you’re unable to resolve the matter privately, consider contacting your local housing authority or obtaining legal counsel. According to a Pew Research finding, more than one-third of adult children reported that their parents aged 75 and older required help caring for themselves. What’s not known is how many seniors don’t ask for help because they’re embarrassed or in denial about the effects of aging. As a family member or caregiver, adopt a proactive approach to the personal support of your loved one. Don’t wait for your parent or grandparent to ask for help; that moment may come only after he or she has already experienced a life-threatening injury. There are many legal considerations where seniors are concerned that might affect your ability to help. 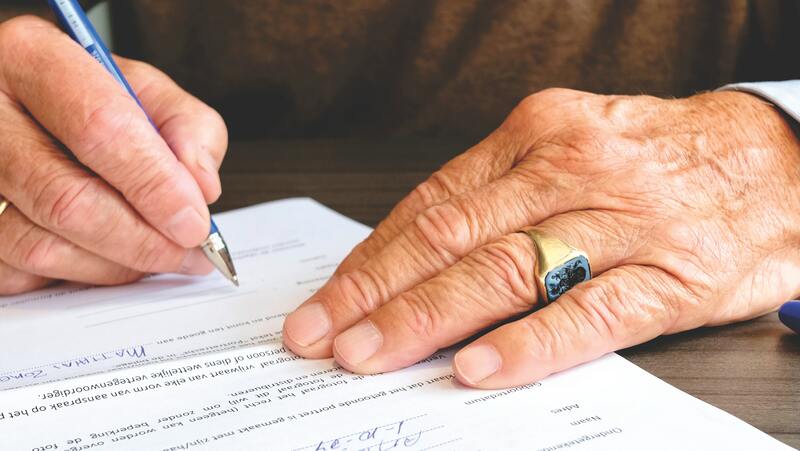 Durable Power of Attorney (DPOA) – This is a person who can make medical, financial, or legal decisions on the behalf of a person who is unable to do so (i.e., he or she is disabled or incapacitated). For example, someone with DPOA might sign a DNR (“do not resuscitate”) order if they believe it is in the best interest of the patient; however, DPOA has the right to oversee a diverse range of sensitive matters, including everything from the senior’s financial accounts banking to real estate and even insurance benefits. Make sure any person with DPOA is someone your parent or grandparent wholeheartedly trusts. A senior can also appoint more than one DPOA. Guardianship – When DPOA is not enough, guardianship becomes a last resort. For instance, complex family dynamics might pit one sibling against others in a fight for the rights of their mother or father. As with DPOA, guardianship should not be taken lightly. Unlike DPOA, however, guardianship is a legal matter that is usually decided by the court system. Living Will – If a senior does not wish to appoint a DPOA, he or she may draft a living will instead. This legally-binding directive will help doctors make important medical decisions if your loved one fails to regain consciousness after a fall. A living will is as much for the person writing it as it is for their family. In some cases, a senior may include a DNR notice to protect their loved ones from the weight of such a heavy decision. This person is registered and certified to provide medical care, including medication administration or more complicated procedures, such as catheterization. Search for in-network home nurse options on your insurance provider's website to ensure this caregiver is at least partially covered. This is a specialized occupation that requires specific training. Health aides can perform tasks similar to that of nurses. A home health aide does not replace the need for a nurse; however, a health aide may help cut costs by acting as a supplemental care when round-the-clock nursing isn't financially possible. This person could be around the same age as your loved one and may require similar or less care. He or she may provide emotional support as well as health accountability. In some cases, this person may even be considered a roommate. Be sure to consider any liabilities associated with this aging person's care, including their family and caregiver support. This person should be registered with a volunteer program that scrutinizes its applicants. Since this individual will spend time in your loved one's home, you should consider interviewing him or her to identify their motivations. Teenage volunteers may lack the experience to handle major health events. Create an action plan for this person in the event of an emergency. This person should have a proven track record of satisfied clients. Aging people are a vulnerable population, so it's important that you review not only the person's driving record, but perform a criminal background check as well. If possible, choose a driver with a commercial drivers license (CDL) or one who's registered as a driver for hire. Insurance coverage for in-home care varies greatly based on provider and plan type. When determining the type of care for your loved one, identify whether it’s a long- or short-term need. This will help you understand the options available to you based on your senior’s coverage. Some plans have limits on the number of weeks or months for in-home care. Exceeding those limits too soon may mean your parent or grandparent won’t have care when they really need it. Consider the laws of employment. In-home care workers are taxable employees. If you’re paying your care worker directly, you are legally considered his or her employer. This also means you are responsible for providing the individual with a minimum wage, including overtime pay, and a safe work environment based on your state’s labor laws. Failure to do so could result in unwanted legal issues, further complicating an already-stressful situation. If you need help, consult a lawyer. These facilities are generally a last-resort option for patients who need more care than a health aide or family member can provide. They’re typically a long-term and somewhat costly recourse – even with the best insurance. Have you exhausted all your options? Are family members able to take on shifts to fill care gaps? 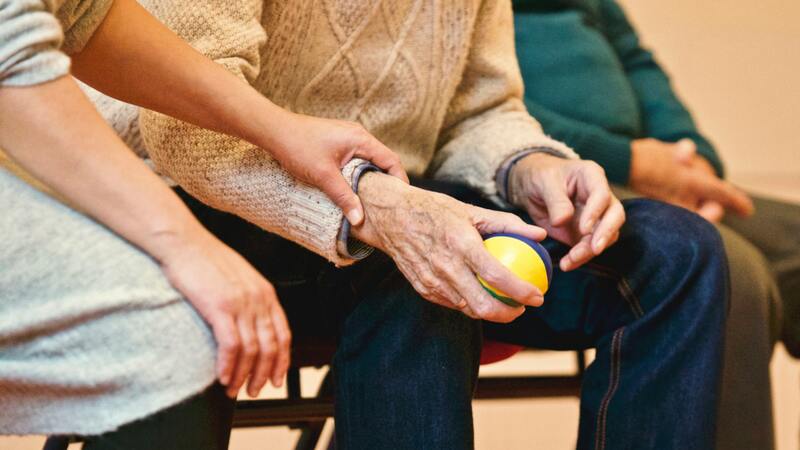 Is assisted living enough care? Is a round-the-clock nursing option more appropriate? What meal options does the facility offer? Are they nutritionally balanced? Do they make careful considerations for religion, allergies, and medications? Does the facility offer a place of worship? Will it provide transport to a local place of worship? Are family members encouraged to support their loved one’s treatment plan? Are family members invited to regular events? What system does the facility have in place for accident prevention? How does it report injuries to family members? What activities do they offer for residents? How do they ensure residence are participating in activities that positively impact their health? How do they ensure residents don’t participate in activities beyond their abilities? Is the facility clean? Do the patients seem happy and hygienic as well as healthy for their age? Do patients have regular access to the phone so they may call loved ones? Can relatives visit at any time? How do they keep the facility secure? Do they check ID? Do they keep lists of authorized visitors and match them against incoming visitors? No one likes to think about money when it comes to family. But end-of-life care does result in tough conversations about not only finances but legal issues. In some cases, states have stepped up in ways that help, and sometimes hurt, families who are struggling. It’s unfortunate that we have to think of a loved one as a liability, but it’s important to understand the legalities related to fall prevention and how they could impact the family members and caregivers for better or worse. Most laws related to fall prevention revolve around state-funded programs for education that helps mitigate the risk; however, some states have gone as far as producing funds that help seniors stay in their home for as long as possible – perhaps a means to reduce fall risk by eliminating the stressors of a new and unfamiliar environment. Financial obligations and filial laws are another point of concern. Some states refer to these laws as reciprocal care. Semantics aside, these laws can mean big financial trouble for families with loved ones who are unable to pay for medical care. Filial laws allow for medical providers and even seniors to sue relatives (usually the children of the aging person) for funds related to care. Judgments in favor of the medical expenses can sometimes be upheld even if the senior has passed away. Each state with a filial law in the table below is linked more information. This list is accurate as of May 2018 but is subject to change based on new legislation. What happens when a loved one falls in their own home? Depending on the circumstances or the disrepair of the home (i.e., negligence), the homeowner may be on the hook. Consider updating your coverage if you don’t have liability. Save everything related to the accident, including police reports and medical bills. These documents are important whether your senior owns or rents. Having these documents in order will help you file a claim with a home insurance or landlord. What are your legal responsibilities to prevent falls? As noted in the section on home modifications, it is the responsibility of the homeowner to make reasonable accommodations for disabilities. An injury that results from negligence based on safety concerns could result in legal action. What happens when a fall occurs away from home? The location of a fall will determine the responsible party. For example, a fall that occurs on a public sidewalk may be a county matter whereas a fall inside a private business may be a matter for the individual owner or corporate entity. Financial compensation for the fall and the time involved in the legal process will vary greatly based on the exact situation. Negligence, such as knowledge of sidewalk disrepair, can swing a case in the favor of a victim. Homeowners and Renters: Are There Different Types of Policies? Seniors and their family members have a number of options for fall prevention, care, and recovery. It all starts with understanding the risks, but it doesn’t end there. Fall prevention needs become more complicated as a senior ages. Remaining educated and alert will help your loved one avoid injuries and costly medical bills that could be passed on to you. Remember, falls are often much more expensive than the preventative measures that will keep your family member safe. Fall-related injuries are more than just statistics. Real, loved people are hurt – sometimes fatally. If someone you care for is at risk based on age, consider this guide a major resource for identifying potential hazards, preventative measures, and recovery tips related to slip-and-fall accidents.